Gloucester now have 60 points as they consolidated their third position in the table while Bath Rugby are at sixth place with 45 points. A crossfield kick from Freddie Burns was grabbed by Ruaridh McConnochie as he dotted down in the fourth minute while Freddie Burns followed with a conversion and a penalty to take Bath Rugby to a 0-10 lead. The visitors stretched their lead to 17 points before the end of the first quarter when Tom Dunn capitalised on a short pass from Kahn Fotuali'i to crossover and Burns improved it. Just as half-time was about to end, the Cherry and Whites finally managed a breakthrough with through Josh Hohneck after a well-disguised pass from Danny Cipriani as the scoreline became 7-17 heading into the second half. Bath suffered a setback at the start of the second half when Ben Obano was sin-binned and Gloucester made full use of the numerical advantage with Ruan Ackermann crashing over in the 45th minute to narrow down the gap to three points. As Burns kicked another penalty goal and a drop goal, tries from Henry Purdy (56') and Tom Seabrook (63') put Gloucester into a 24-23 lead just over the hour mark. 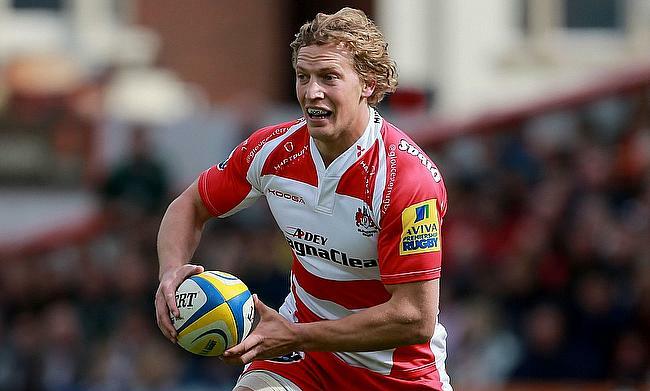 Twelvetrees missed both the conversions but with a 69th minute penalty goal ensured a 27-23 win for the hosts.